Samuel L. Jackson is an American actor and producer. He is the son of Elizabeth (Montgomery) and Roy Henry Jackson, both African-American. Samuel is married to actress and producer LaTanya Richardson, with whom he has a daughter, producer Zoe Jackson. Samuel’s paternal grandfather was Roy Victor Jackson (the son of Albert Jackson and Rosetta Davis). Roy was born in Missouri. Samuel’s paternal grandmother was Imer/Imellts Lee Watts (the daughter of Henry Jesse Watts and Allie/Ollie Bowen). Imer was born in Alabama. Samuel’s maternal grandfather was Edgar Montgomery (the son of Miles Montgomery and Lilly/Lillie Branham). Edgar was born in Georgia. Miles was the son of Gibb/Gilbert Montgomery and Henrietta Freeman. Lilly was the daughter of Arthur Branham and Malissa Fielder. Samuel’s maternal grandmother was Pearl Brown (the daughter of John Brown and Mary). Pearl was born in Tennessee. On the show, it was hypothesized that Samuel’s great-great-great-grandmother, Matilda Branham, who was black, had children with Joel Branham, Jr., a caucasian man, with English ancestry. One of these children could have been Samuel’s great-great-grandfather, Arthur Branham. 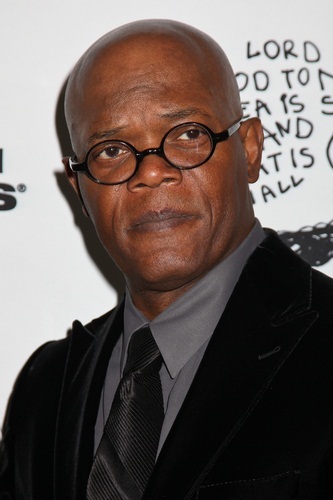 Samuel Jackson is 21 percent European/white, 77 percent African ancestry, and 2 percent Native American. This is what it says in the book “Finding your roots” by Henry Louis Gates Jr.
You didn’t add Native American?